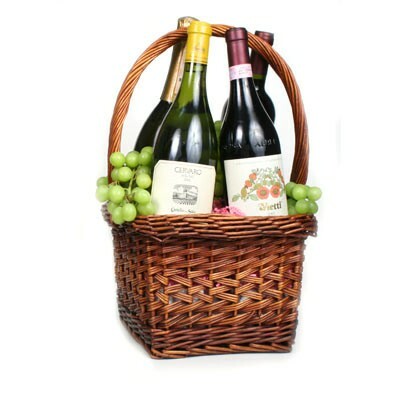 Craft a wine and fruit basket that includes a diverse selection of four bottles of premium hand selected Italian wines from our enormous supply. Also includes a small amount of fresh grapes. We can make any basket with your choice of cheese or wine and the price can be determined according to what is in the basket. Give us a call or send an email and let us know your choice!